Know how you can fit wedding photography within your budget by reading about our pro-tips. As wedding photographers we absolutely dread guests going bonkers with cell phone photos and their iPads. Know why it is a good idea to have no cell phone policy for your wedding, how it ruins your wedding experience and what you can do to implement it without sounding rude. Destination weddings or any big wedding are tough to handle. You might have the best wedding planner, but you still need to ask questions to your wedding photographer to clear any doubt. After all, your wedding photos and wedding film will be the only things which will help you relive those beautiful moments. So here is your guide to wedding photography questions. 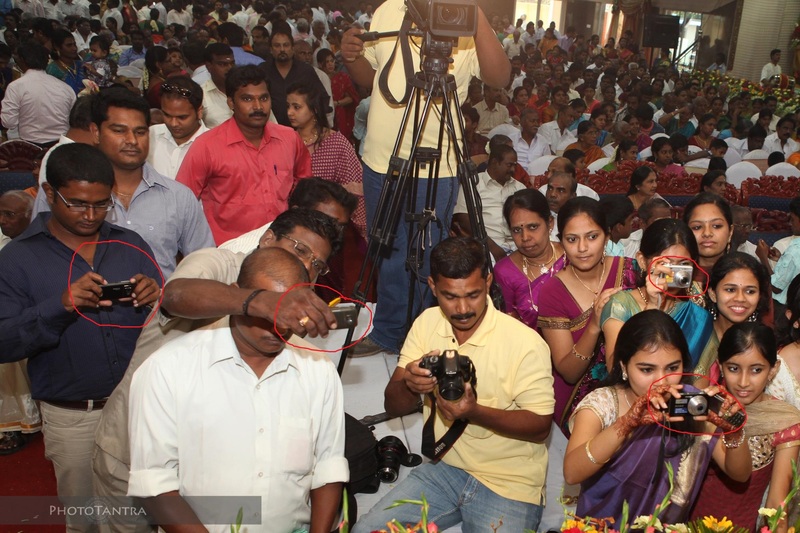 Wedding photos from an offbeat Tamil wedding in Chennai. As wedding photographers we love quirky, modern Indian wedding as well as culturally rich traditional Indian weddings. We love Jagmandir weddings. 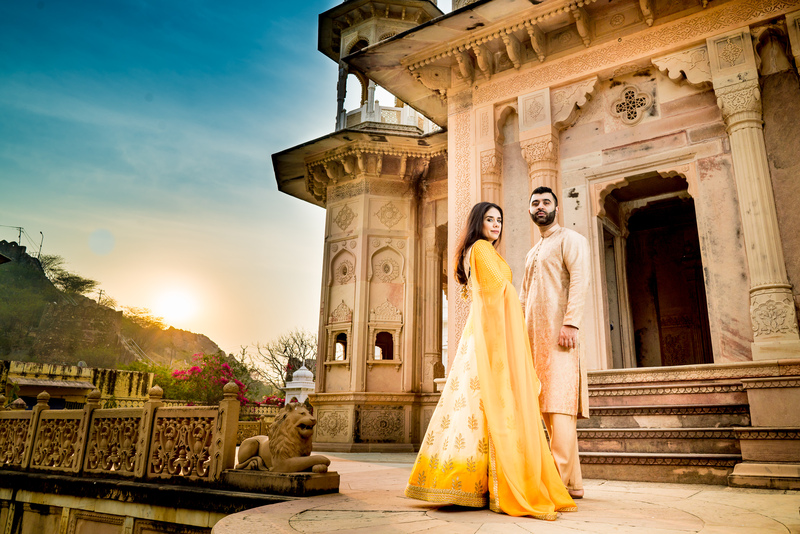 As a matter of fact any Udaipur wedding or Jodhpur wedding is our favourite destination wedding. We absolutely go crazy when we shoot South Indian wedding because we love the people and the food. Especially if it is a Hyderabad wedding or a Bangalore wedding or a Tamil wedding in Chennai. This year Phototantra organised its first ever workshop. It was overwhelming to see the response and heart warming to see the feedback which we received later. Our whole intention was to share our philosophy pf photography which is deeply rooted in street photography style. We deliberately kept the number of participants to a maximum of 10 so that personal attention could be provided because the more people you have the more difficult it becomes to ensure that each one of them has understood what you have been telling them. Also, we kept 2 sessions of street and portrait photography for which the participants had to go out on the streets, follow instructions given to them in the classroom on framing, composition and story telling. The variables of photographing a subject where removed to a large extent and they were given very less tweaking opportunity. This was to make sure that they come up with wider frames, go close to the subject, capture layers in a photo and be able to tell a story with keeping aesthetics, light and rules of composition in place. The participants were given only 1 hour to come up with 5 best frames. Phototantra’s journey started way before Vinayak and Snigdha got together to form the company. Both of them have always enjoyed travelling, observing life on the streets and documenting this street called life. When they started shooting weddings, their style heavily reflected street photography techniques. According to Vinayak, weddings are like a street. It has all the elements of a street; it has surprise, celebrations, people, characters. Expressions, stories, drama and negotiated boundaries. It was this philosophy which led to the idea of Street to Wedding Photography Workshop. Here we took people from the street style to shooting a wedding and beyond. 3. Off camera flash, use of light modifiers. The workshop was aimed at photographers from smaller cities, photography enthusiasts and photography students. The language was kept bi-lingual and simple for easy understanding. Participants came from Delhi, Gurgaon, Kanpur, Lucknow and even from Mandi in Himachal Pradesh. The intention was also to extend help to photographers from smaller cities or second shooters who are more comfortable in Hindi, who might feel out of place in bigger seminars. The two day workshop ended with a session of photo critiquing by Vinayak, Arjun Kartha and Arjun Mahajan. 1. Ruby Singh:- Liked the discussion on rules of photography, social media and SEO, use of magmod, photo walk, critiquing session and the food. 2. Rashmi:- Well structured. I liked the review of images. A little more emphasis on OCF required. 3. Madhur:- Vinayak sir taught very well. Got some new technique for using flash. 4. Sangeet:- Overall content, very well organised. Liked the special appearance by Arjun Kartha, Arjun Mahajan and Mahima Bhatia. Liked the concept of street to wedding photography. 5. Sakshi:- Loved how honestly the experiences were shared. Good content and great experience. I feel more time and should be spent on the difficulties that we face during shooting a wedding. 6. Nitin:- I liked the energy of Vinayak sir. Finer nuances of wedding photography and case to case studies were very interesting. I want the workshop to be little more organised. 7. Sonu:- Loved the session on composition and framing and how to grow business. 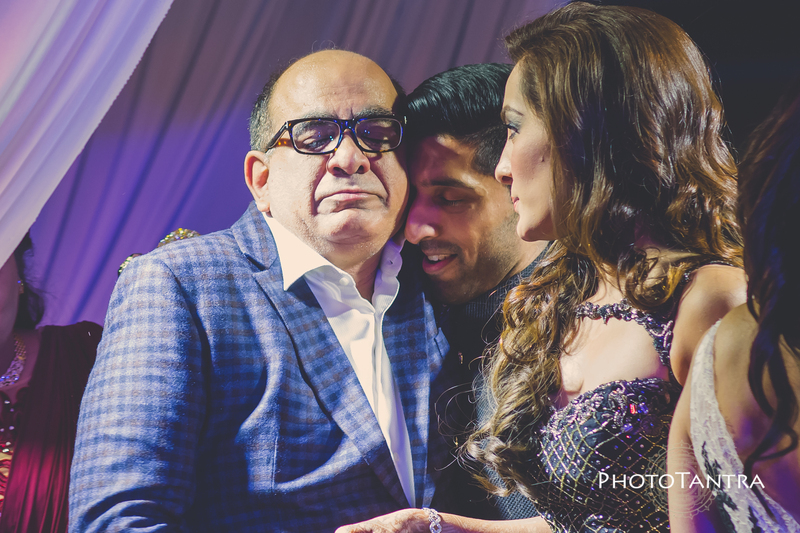 Here are some of the pictures from the 2 full days Phototantra Wedding Photography Workshop. Sindhi weddings are pure fun, love and joy. A beautiful destination Sindhi wedding attended by very close friends and family. We went there as photographers but came back as friends with beautiful memories. 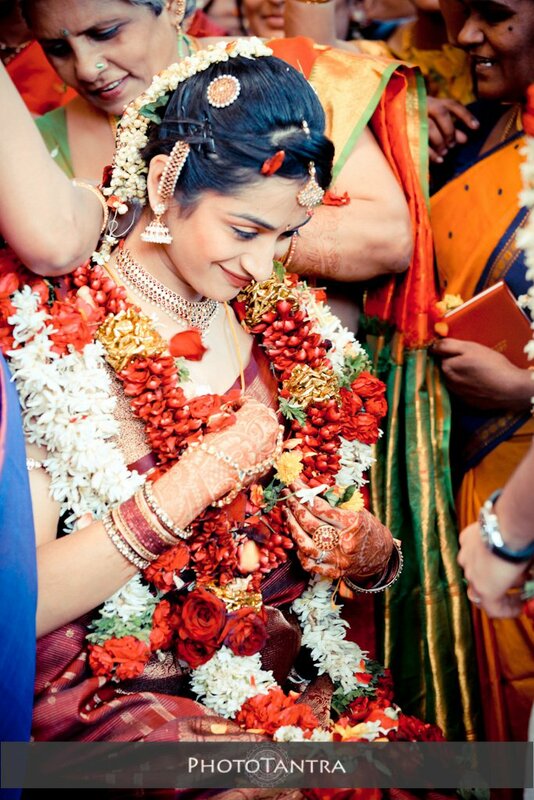 A beautiful Tamil wedding at Mysore. The bride has a beautiful sense of aesthetics. So much so that the diamond choker which stole her heart (a piece worn Amruta Patki, Miss India International 2006) had to be found and she tracked the supplier in Chennai and had Chennai diamonds make the piece for her.